Pack-It Thursday – DIY Using burlap! Hello I am back with another post on Pack-It Thurday! Today post is on how you can create things using burlap in your packaging! Burlap is a neutral and pretty string to have in your stash. You can make them into things like this – colorful boutonniere. Here you can used them on the mason jar to decorate them using burlap string. Are you ready for Embellishment Tuesday? 🙂 Today I would like to introduce you Mum Flower Resin Cabochon Embellishment! 🙂 I love these colors bright and cheerful to decorate your packaging, cards, handmade stuff, bobbin pin, jewelry etc. Are you ready for Embellishment Tuesday? 🙂 This whole month is Birthday party Theme! Lots of banners, cupcakes, balloons, ribbons, buttons, flowers, sequins and all those parties stuff! 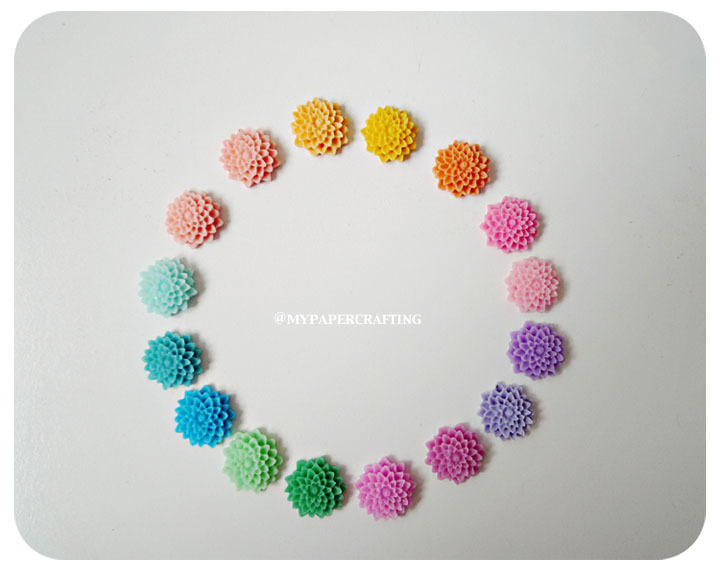 How fun and cute to create these embellishment for a birthday party! 🙂 Every piece is hand cut, hand sewn and lovingly handmade by me for you! These are the new packaging that comes with the ribbon. 🙂 Love them! Are you ready for Embellishment Tuesday? 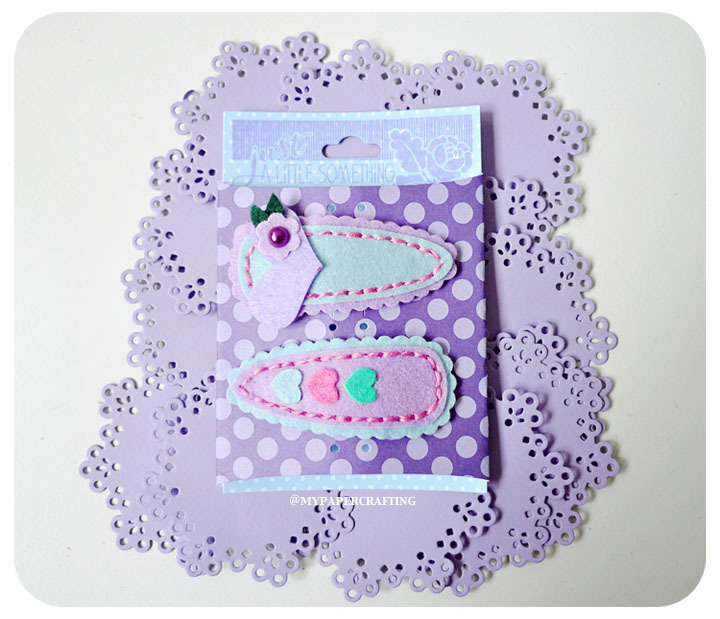 🙂 This Purple barrettes felt clip was made for my niece when she had her fourth year old birthday this year! 🙂 I love making these and have some customer request for other colors too. I do make them for sale in my shop. If you request for other color, do leave me a comment when you checkout! 🙂 Every piece is hand cut, hand sewn and lovingly handmade by me for you! If you are interested in these barrettes felt clip , Here is where you can purchase them. Are you ready for Embellishment Tuesday? 🙂 Today embellishment which I want to show you is …. 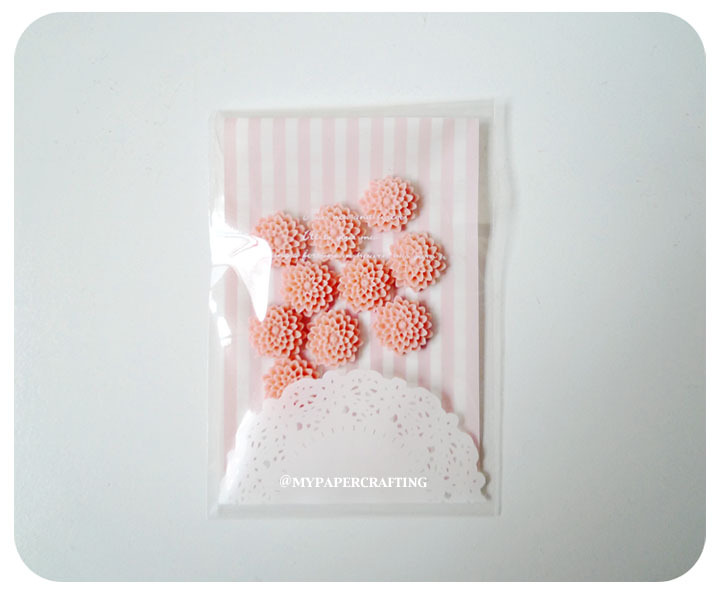 Organza pearl Mini Flowers. These flowers give dimensional to a project – be it a card, scrapbook, wedding album or craft work you are in. These come in 7 colors – Light Blue, light pink, Light purple, orange, emerald, plum and yellow. Color: Light Blue, light pink, Light purple, orange, emerald, plum and yellow. If you are interested in these, Here is where you can purchase them.